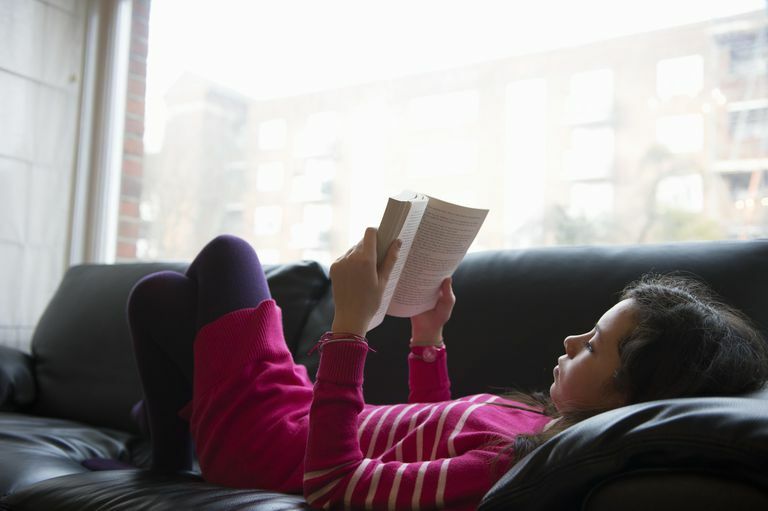 If your tween likes to spend a lot of time alone, you may be wondering whether something's wrong. As long as your child has a close friend or two, chances are everything's fine. Your tween is probably simply an introvert. One key component of personality is introversion/extraversion. You can think of this component as a line stretching from full extraversion on one end to full introversion on the other end. Most tweens fall somewhere near the middle of the spectrum, but lean one way or the other. About 75% of American tweens lean toward extraversion. This breakdown causes our society to think of extraversion as "normal" and of introversion as "problematic." Contrary to popular stereotypes, though, being introverted does not mean a person is a "loner," is "antisocial" or is in any way abnormal. Introversion is also not synonymous with shyness. In fact, introverts are just as socially capable as their extroverted peers. They just have different ways of preferring to interact with the world around them. There are three major differences between introverts and extroverts. The first concerns how a tween gains or drains energy. Extraverts tend to feel energized by being around groups of people and feel exhausted by prolonged periods spent alone. In contrast, the introvert recharges with alone time and loses energy in large social settings. Another major difference is the order of talking and thinking: extraverts tend to think as they are talking while introverts usually think before they talk. This makes introverts appear to be more reticent than extraverts because they are working out their answers to questions before saying them. Finally, if given their choice of social interactions, the introvert prefers to have in-depth conversations with only one or two people at a time while extraverts prefer free-floating conversation with large groups of people. As we have seen, introversion is every bit as healthy as extraversion. It can be difficult to be an introvert in an extravert-dominated society, however, especially during the tween years. Tweens rely heavily on social comparison as they develop their sense of self-esteem, which in turn can affect their general well-being. Feeling different during the tween years can cause great distress. One thing you can do to support your introverted tween is help them understand what introversion is. By sharing Internet sites and/or books about introversion, you can help them understand that their personality type is normal and healthy. Just as some people have dark eyes while others have light eyes, relating to the world in different ways does not make one person better than another. Whatever you do, do not try to force your tween to "be an extravert" by making her attend large social gatherings or encouraging her to talk all of the time. If anything, this will just make her feel like more of an oddball because her forced actions will not match what she feels. Supporting your child's natural tendencies will make her feel most comfortable about herself. Although introversion is totally normal, there are warning signs that may signal an issue that goes beyond a natural variation in personality type. If your tween has absolutely no close friends despite having attended the same school for months, he may be having a problem with social skills or some other type of emotional issue. In this case, a chat with your child's teacher and doctor may be in order. If your tween seems highly distressed, begins to cut off all social contact, and/or makes comments about wanting to harm herself or others, he or she may be dealing with something even more serious, like a mood disorder. Consult your child's doctor immediately. All in all, differences in personality types may be difficult for tweens who are in the minority like introverts are. With support and understanding, however, they can come to appreciate and even enjoy their personality strengths.